This flags history includes a very determined patriot named Ethan Allen. Following rejection by the New York authorities of an appeal that the Vermont region be established as a separate province, Allen organized a volunteer militia, called the Green Mountain Boys, to resist and evict proponents of the New York cause. 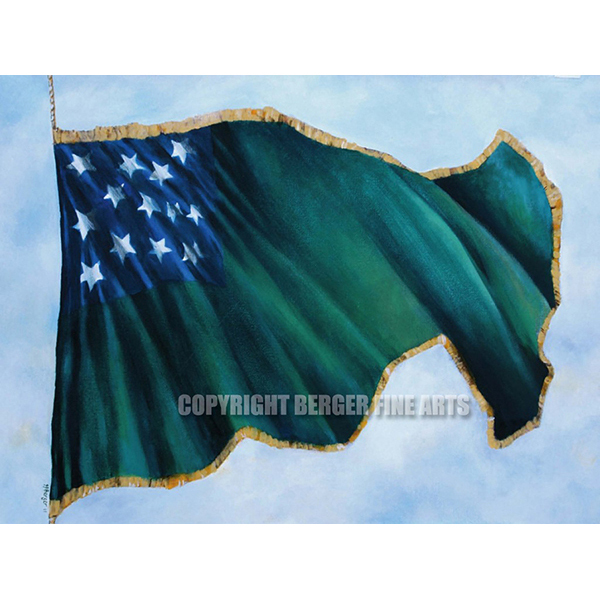 The Green Mountain Boys Flag began as a regimental flag used by the Green Mountain Boys and still exists as one of the few regimental flags from the American Revolution.